More international workers are being hired by technology companies in the Toronto region thanks to a fast-track work visa program introduced by Canada’s government last year, a new study reports. Of the 53 high-growth tech companies who responded to the MaRS Discovery District survey, 45 per cent reported hiring international candidates in 2017 and 53 per cent experienced a jump in international applications in 2017 over 2016. The survey did not say how much of an increase in international hires that represents, but spokesperson Danielle Klassen said it’s clear they are on the rise within the MaRS ecosystem, billed as the world’s largest urban innovation hub. “Feedback consistently shows that companies are hiring more international candidates,” she told CIC News. A majority of survey respondents credited Canada’s Global Skills Strategy and its Global Talent Stream for the increase in international hires. Introduced in June 2017, the Global Talent Stream fast-tracks the visa approval process for skilled foreign workers who meet specific employment needs. Thirty-five per cent of the companies who responded to the MaRS survey reported using the Global Skills Strategy program to hire international workers. 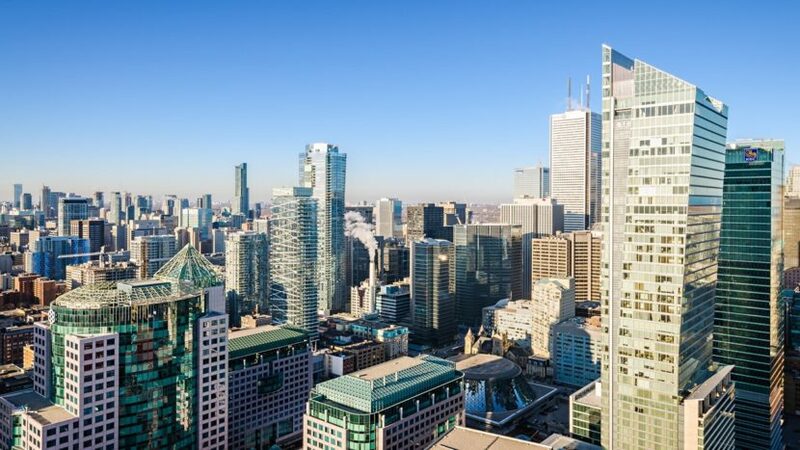 “Talent is tight in Toronto, having the ability to attract a foreign national in as little as two weeks is beneficial, particularly with how fast-paced technology and the industry overall is moving,” Ben Zifkin, Chief Executive Officer at Hubba, told the MaRS survey. Companies surveyed reported the vast majority of international hires hailing from the United States, and substantial numbers also coming from India, China, Brazil and the United Kingdom. Engineering was the top position among international hires, followed by sales, marketing, data scientists, operations and C-suite executives. One company that responded to the survey reported rising interest from junior and mid-level engineers currently working in California’s Silicon Valley on temporary work visas. U.S. President Donald Trump’s talk of ending the popular H-1B visa program that many foreign workers rely on is widely seen as one reason why many are looking north to Canada. Klassen said that view is supported by the survey’s findings. “We’ve heard from companies that when they interview international candidates, it’s pretty consistent that people are mentioning the change in political situation [in the U.S.],” she said. And the results are dramatic. According to the survey, many of the companies that experienced an increase in international applications reported that it ranged from 50 to 100 per cent more than 2016 levels, with a few reporting increases of up to 300 per cent. “What the survey really shows is that Canada’s brand and reputation as a country that embraces diversity and its strategic immigration reforms go in contrast to what other countries are doing and that is really paying off for tech companies in terms of being competitive,” Klassen said. To submit an inquiry about a work permit, please complete the form on this page.